Rappahannock IT was established in 2017 to take on a modern approach to business IT services. 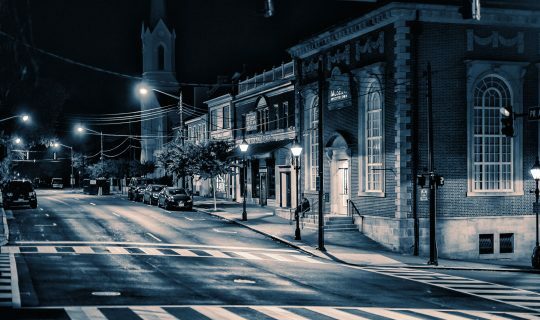 Headquartered in historic downtown Fredericksburg, Virginia, Rappahannock IT serves far and wide, including anywhere in Virginia, Maryland, and Washington DC. We care about our customers, and want to offer the same support to any businesses and individuals no matter their location. We see ourselves as a forward looking group of passionate IT professionals with the relevant experience to match. Our team is knowledgeable and responsive to your business’s IT support needs whenever and wherever you need it. Our IT solutions are secure and reliable, keeping your business running at its maximum potential. We strive to create success stories for your business and its IT needs. Our consultants help your business every step of the way. Don’t stress over unexpected IT support expenses when they come up. Choosing us as an MSP allows you to always know you’ve got IT support covered each month at a predictable cost. Our support is people-focused allowing your employees to focus more on work and less on tech support issues that come up. We’ve got you covered around the clock to ensure all your systems are operational and you have the support you need if a problem arises. Rappahannock IT approaches every client’s business as if it were our own. We believe information technology services should be modern, efficient, and transparent. We put ourselves in our clients’ shoes, align our services with their objectives, and collaborate to reach powerful solutions for their business for years to come. This builds deep and enjoyable relationships, which we take pride in establishing with every client. We strive for long-lasting business relationships with an unmatched customer service experience with all of our clients.